As part of actively building character, each child at Koinonia participates in additional activities that have been found beneficial for acquisition of life skills, exploration of vocations for life, as well as for educational exposure. All students actively participate in Music in the form of voice training, instrument as well as solfa-notation. They also participate in the weekly Karate lesson, and we also hope to get a facility with a swimming pool nearby where they can get a weekly lesson. They also get exposure and life modeling through age-appropriate school-trips to other schools, museums, national parks etc. Each student belongs to a house such as Naivasha, Bogoria or Victoria, named after some of our Kenyan lakes. Within these houses, children compete to earn points to strengthen their teams. 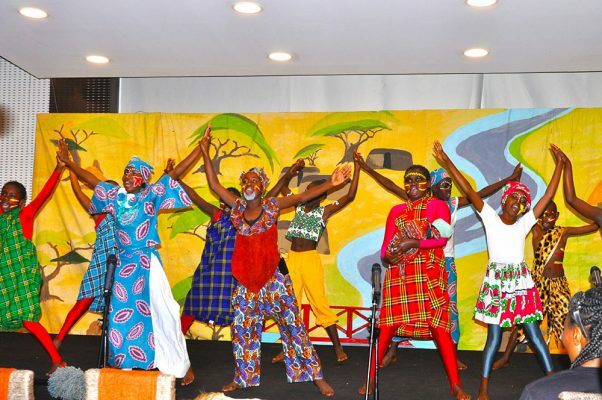 Activities whose performance add to points for the houses include; spelling bee, inter-house drama, talent show, and even sports’ day performance. Students’ participation in activities such as tug-of-war during Sports’ Days and elsewhere enhances their team spirit and sense of belonging. Besides the obvious improved health benefits one gets through proper muscle development, improved coordination and sharper mental alertness, physical fitness is being used to develop endurance. It is in the hope that it will help improve the students’ spirit to press on in tough situations and persevere even though they don’t get immediate benefit. In this respect, at the beginning of 2012, Cross-Country was introduced to nurture and enhance the students’ physical ability and to complement the weekly P.E. lessons. It is usually done 3 times a week for all the students and we have already witnessed great improvement since it was begun. The intensity is gradually increased to remain beneficial to their stamina building. All the students look forward to these sessions and immensely enjoy them. 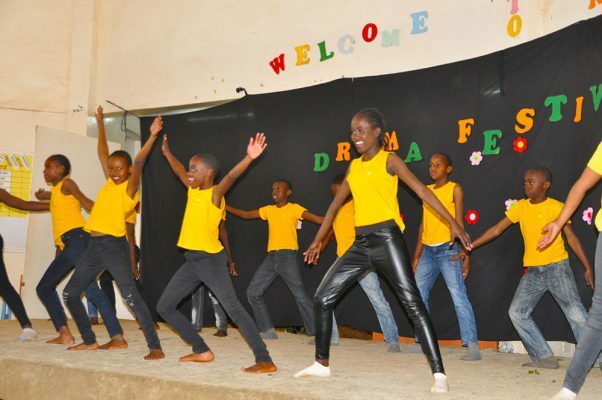 We use drama, music and dance to polish our communication and specifically our expression skills, with the hope of acquiring theatrical skills. Besides acting, drama at Koinonia is used as an educational tool. The students communicate important messages to their audiences but best of all, by acting out what they see, they begin to question things they see and hear. They become their own best audience; children normally learn how to behave in real life when they act. It is therefore hoped that the students will want to continuously create the change they would like to see.